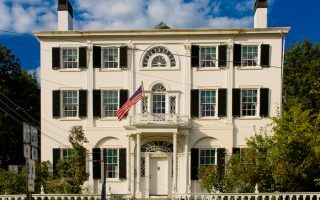 Maine is a large state (by New England standards), and even locals can go a whole lifetime without visiting all the stellar destinations “Vacationland” has to offer. 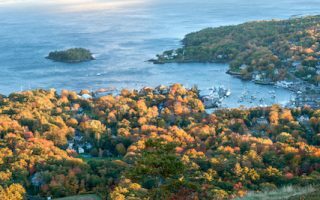 Lucky for you, we’ve picked the best of the best Maine running routes to take on this fall foliage season. 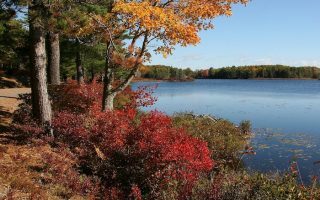 While the northern part of the state has plenty of spectacular scenery, the forests tend to be primarily coniferous, so it’s better to stick to coastal and southern Maine for optimum foliage viewing. 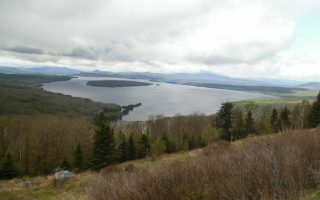 Don’t think that limits your options, though — whether you gravitate towards the coastal water views in the hills of Acadia or Camden, major cities like Portland, or the wildlife populated forests of Moosehead Lake, there’s a run in Maine for you. 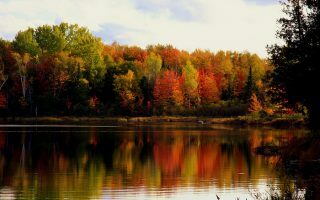 For most locations in Maine, peak foliage occurs in the first two weeks in October. If you visit Southern or coastal Maine, you can catch color change in mid to late October. With autumn leaves and brisk fall air, Maine has plenty of choices for running ‘the way life should be’. 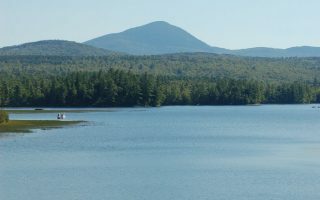 Rangeley, Maine is a hub of outdoor adventure — from skiing at Saddleback Mountain to watersports on its chain of pristine pine-bordered lakes. But with miles of scenic trails and byways, it’s also a great spot to take in some color on a satisfying run. 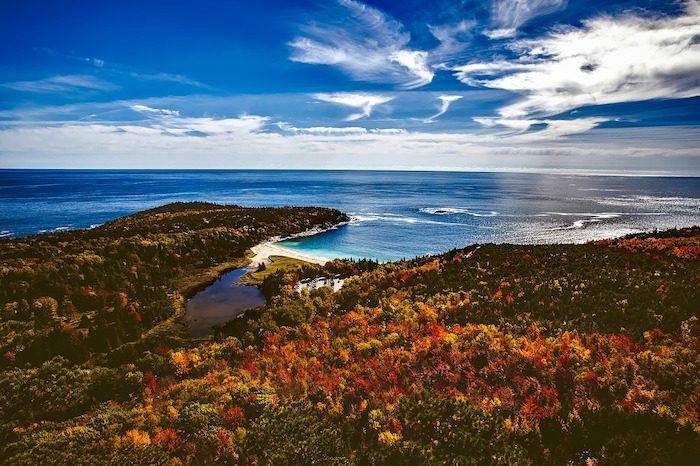 A bit off the beaten path as far as Maine tourism goes, but the scenery in and around the dramatic Tumbledown Range is not to be missed when fall comes around. Enjoy the 16-mile bike path around Webb Lake, or the trails of Mt. Blue State Park. 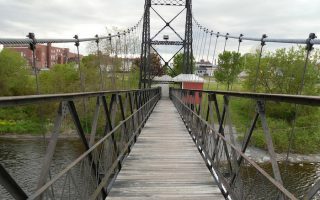 Former mill town at the fork of the Kennebec River, Sebasticook River, and Messalonskee Stream, with terrific waterfront options. We also love the Quarry Road trails and the trails around Colby College. 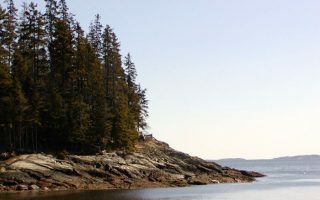 Located just off of Maine’s mid-coast, accessible by ferry from Camden. Beautiful island for running in the Penobscot Bay, with quiet roads, pretty foliage, and great water views. We've mapped a 7 mile loop from the ferry terminal. Just west of Portland, a great destination to take in some classic Maine scenery. 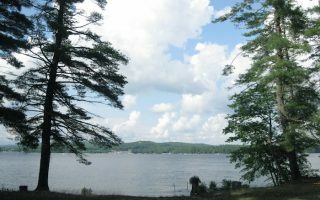 Best bets for running are roads in Sebago Lake State Park, at the northern part of the lake, and the first 5 miles of the Sebago to the Sea Trail, at the southern part of the lake. 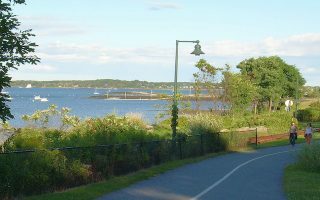 The most popular trail in Portland, the Eastern Promenade offers nice views of the Atlantic and the harbor.